A wise choice to listen to your customers, they speak with their currency as stated, so bring on the crazy new stuff for us to drool on. Out of curiosity has the idea of opening up the "parts " side of the business (necks, bridges, pickups etc) ever a consideration, or is it more of a case that side of things is not in the company ethos? "Can't talk little man? Betcha can't play none either"
I'm really looking forward to the new offerings. Kudos to EBMM for continuing to improve their product, with the performing bassist always in mind. I've been a StingRay owner for over 20 years, and I can honestly say the introduction of 2 pickup models a few years ago was a major, major step forward. Other updates, like the new nut design and the feel of the fingerboard edges have been great, too. The two-pickup introduction was massive, though. I'm looking forward to what is coming, whether it be major steps or nice minor ones. I'm glad to see the Sterling continue, too. Even though I am a longtime Stingray owner, getting my first Sterling was a big deal for me, it's now my favorite bass ever. The neck profile is just perfect. I looked long and hard at the Big Al, since it shares a similar thin neck profile, and because the passive pickups and other electronic options are really interesting, but I couldn't get past the looks of it. Anyhow, I'm looking forward to the new stuff a lot. Everything we discontinued was a valid choice...in the end the customers voted with their dollar and didnt buy the stuff. But why did the customer not buy the Reflex and Big Al? I suppose you need to know, before you start thinking of anything new. I'm sure you're not running a trial and error business. With bringing out new products, doesn't that mean that people who buy a Reflex, won't buy (for example) a Stingray? That does not increase revenue. Or is the main focus (outside of making excellent gear) to increase overall market-share? 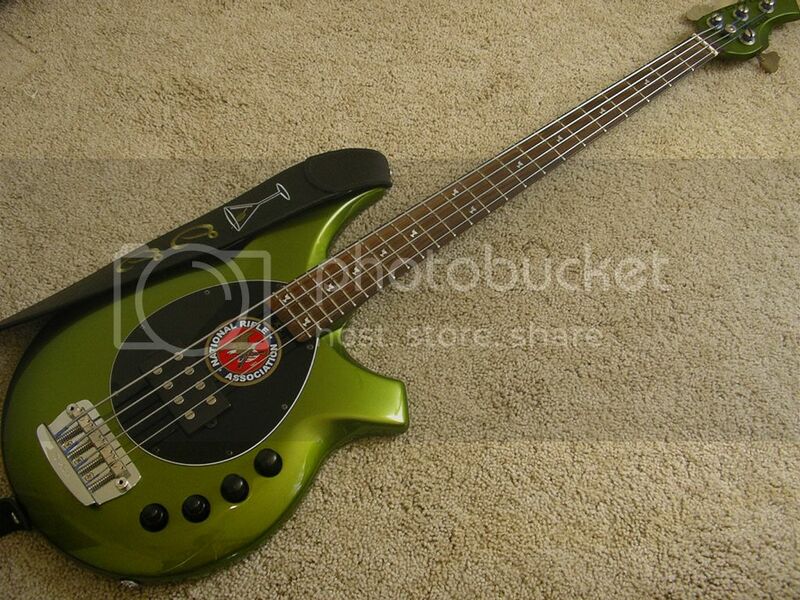 Seems to me that customers who want to own every MM bass out there is limited to a very few (like me) only. Last edited by mdstingray; 08-11-2015 at 12:56 PM. I think the complex ellectronics on both basses where a big holdback for manny players out there who are used to the regular bass controlls. 4 band eq, series/paralel, active/passive, manny pickup options,.... might be too much for alot of people out there. Add to that the "weird" shape of the big al and the higher pricing than the stingray and i can understand why id did not sell. Never the less, if i ever have some cash left and find a cool big al, i wouldnt hesitate. Forgive me if I'm still confused. 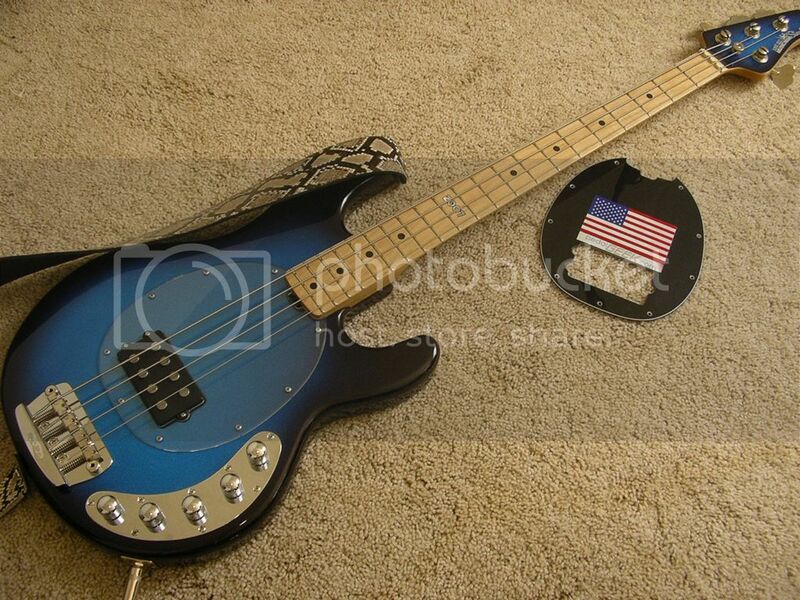 Will there be NO piezo option on Stingray 4 or 5 basses in the future, not even on the fretless models? I LOVE the piezo sound on my Stingray5H fretless. Last edited by shastaband; 08-11-2015 at 01:53 PM. I believe that is what they are saying. Piezo options are, unfortunately, prone to problems and not extremely popular. As for the colors, I have always been amazed that EBMM has been able to offer such a wide variety of colors at any given time, given their high quality. however in the end I think the most popular colors are still things like black and white, maybe with tobacco sunburst and a few choice metallic colors. I can't wait to see what new guitars/basses are coming out. So since the Reflex is going away, does that mean the Game Changer Reflex guitars and basses are also going away? Classic Sabre is gone or just limited colors? Sad to see them go. I love both my HP EBMMs. I can bring warmth in and out of the mix without futzing with my volume and EQ controls. The Game Changers are staying. The other Reflexes will be discontinued. The Classic Sabre will be discontinued. I guess this is more "wait and hope" than an actual question, but is there any chance of the Reflex/Big Al electronics surfacing in another instrument, like the Bongo, somewhere down the line? The passive mode on those instruments is a nice evolution of the Bongo pre-amp, and it would be cool to see the HSS and SSS configurations continue on in some form. Last edited by Tom F; 08-12-2015 at 08:24 AM. Oh! Then I misunderstood the listing posted above. I thought only 4 of the currently offered colours would be discontinued. Very sad about this. I was still hoping for a 5-Sting version of the Sabre. But as mentioned before: It is the customer's money that decides about a model's fate and I assume that many more dollars have been spent on StingRay HHs as compared to Sabres.